Photo via Twitter by Beth Bowdoin. 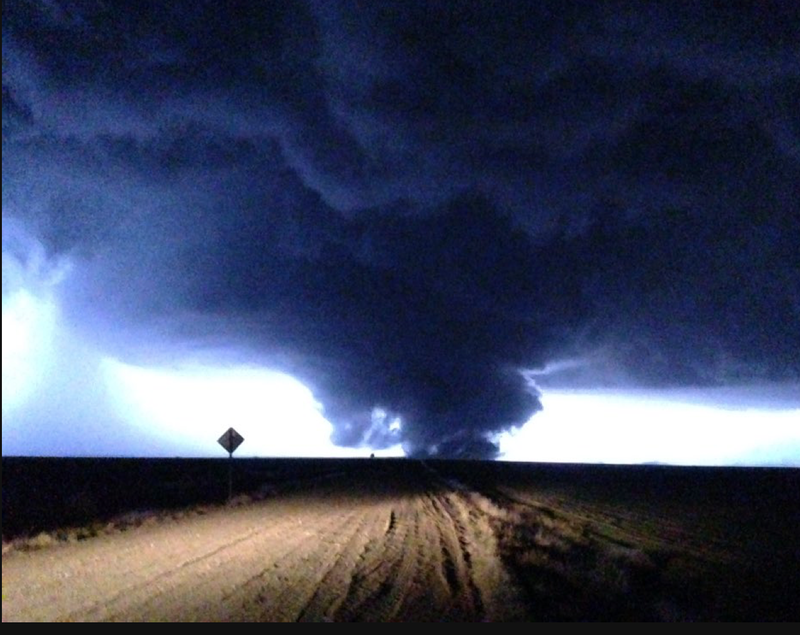 This is a violent tornado very near Plains, Kansas. 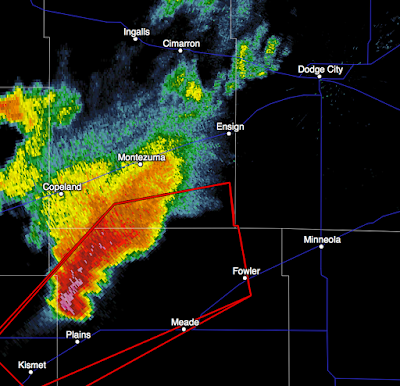 Here is the radar view of the storm at 6:10pm. 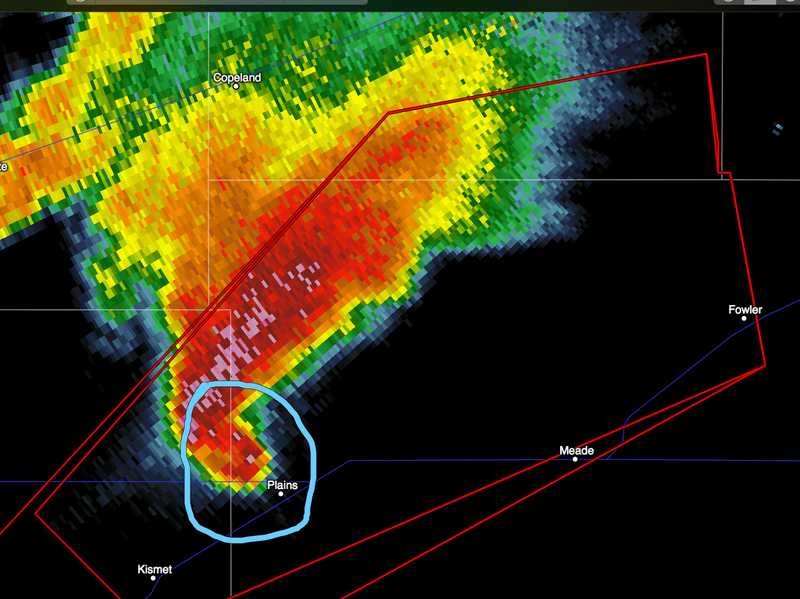 If this tornado holds together, it will eventually threaten Ensign and Dodge City.